U Street ranks among Washington, DC’s nightlife hot spots and is home to some of the city’s best nightclubs and theaters. Known as the home to jazz legend Duke Ellington, the U Street neighborhood was once the nation’s "Black Broadway" and home to the largest concentration of African American social clubs, religious organizations, theaters, and jazz clubs. In the 1990s, the opening of the U Street Metro station provided better access to the area and the neighborhood has experienced an ongoing revitalization. Here’s an alphabetical guide to the nightclubs along the U Street Corridor. The historic theater that launched the careers of Duke Ellington, Ella Fitzgerald, Marvin Gaye, and The Supremes, re-opened in April 2012 after a $29 million renovation. The remodeled theater features a state-of-the-art acoustic system and offers a wide range of live entertainment. Gate 54 is described as an art deco inspired hangar-lounge featuring a wide range of DJ music from classic jazz to British-pop, to 70s soul-funk. This small club features live jazz on the weekends and American cuisine in a cozy setting. The historic theater opened in 1922 as a movie theater and ballroom catering to DC's black middle-class community who danced and were entertained by legends such as Duke Ellington, Louis Armstrong, Cab Calloway, Ella Fitzgerald, and Billie Holiday. The theatre closed after the 1968 race-related riots. 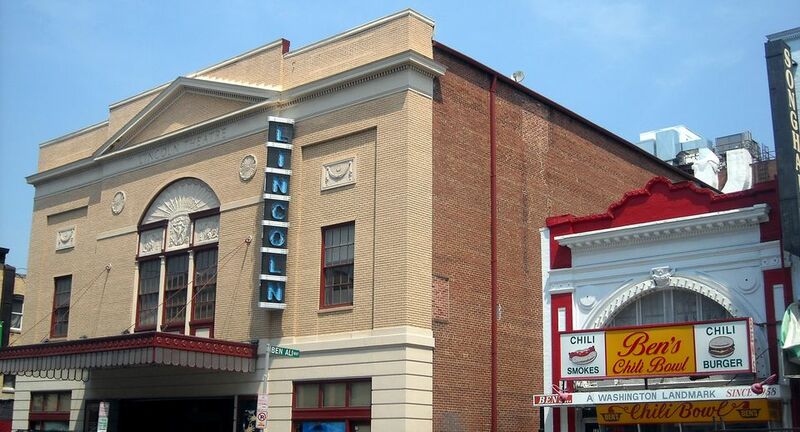 In 1994, the Lincoln Theatre was refurbished and its reopening led the way to the revival of DC's U Street Corridor. Twins Jazz features live jazz and American, Ethiopian and Caribbean cuisine. Live music: Tues.-Thurs. at 8 p.m.; Friday & Saturday from 9-11 p.m.; Jam Session Every Sunday with the Ron Gary Trio. The international restaurant offers live jazz and blues by local musicians. Entertainment offered Tuesday – Sunday nights. This small Washington, DC bar in the U Street neighborhood features a variety of live music ranging from punk rock to alternative-folk. Opened in 2010. The live music and dance club is the newest addition to the U Street entertainment district. The nightclub features a state-of-the-art sound systems, a 1200 square foot dance floor, and two fully stocked bars.